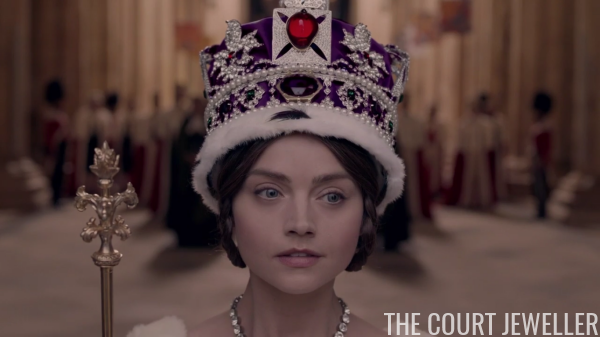 A new eight-episode miniseries about the early reign of Queen Victoria is coming to ITV and PBS soon. We'll be covering the show when it airs on Masterpiece in January 2017, but we've already got a new trailer from ITV to enjoy! 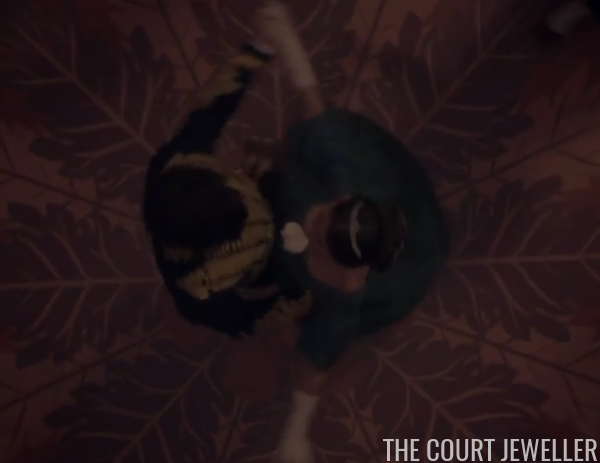 Because Victoria is a teenager in this miniseries, many of her jewels are on the daintier side. 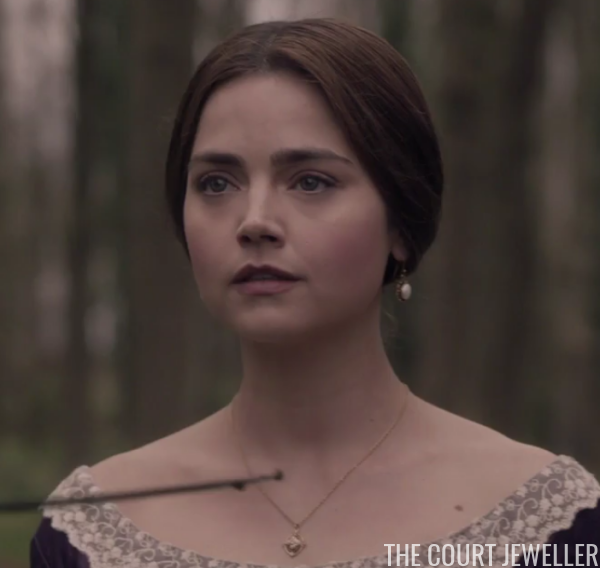 Above, she wears a pair of drop earrings and a delicate pendant necklace. 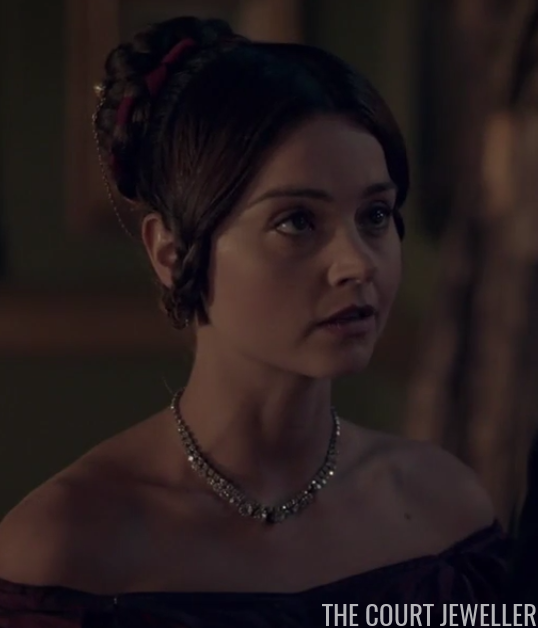 Here, you can just see a brooch pinned at the center of her neckline. ...which you can see a bit more clearly here. 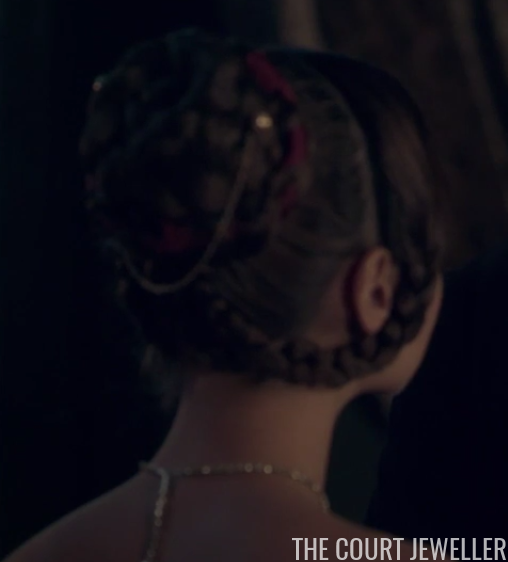 Also: I'm not entirely sure, but that adjustable-length necklace clasp looks awfully modern to me. 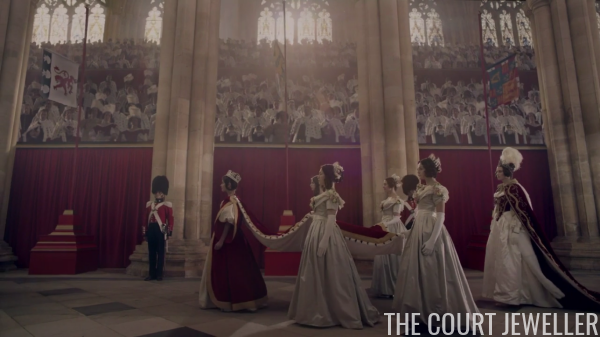 Without a doubt, though, the most glittering moments from this trailer are related to Victoria's coronation. 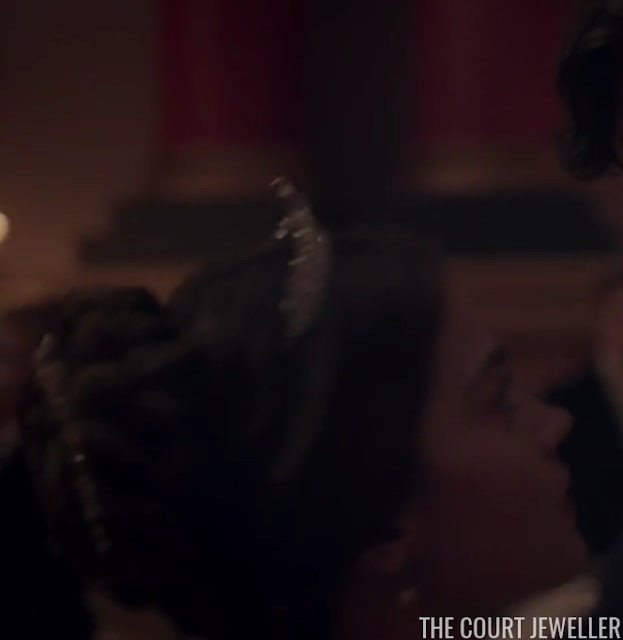 Here's the production's version of the George IV State Diadem. 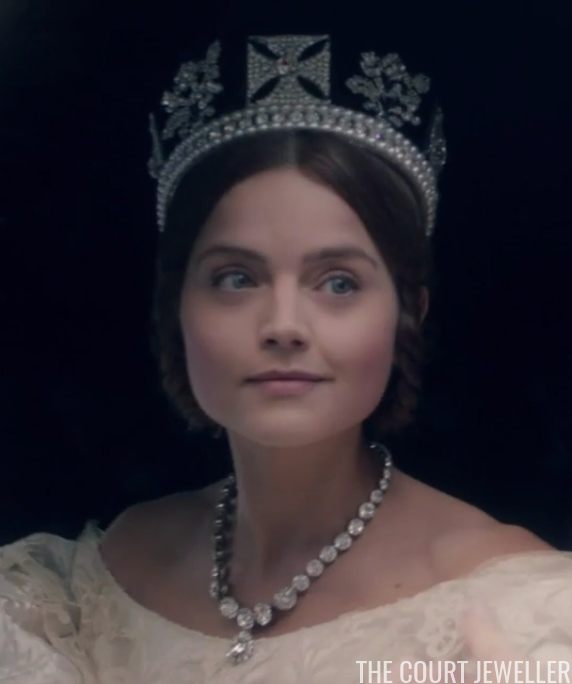 Victoria is also presumably supposed to be wearing Queen Charlotte's diamond necklace, which was lost in the Hanoverian claim and later replaced by the Coronation Necklace. Probable source material for these jewels: the Thomas Sully portrait from 1838. 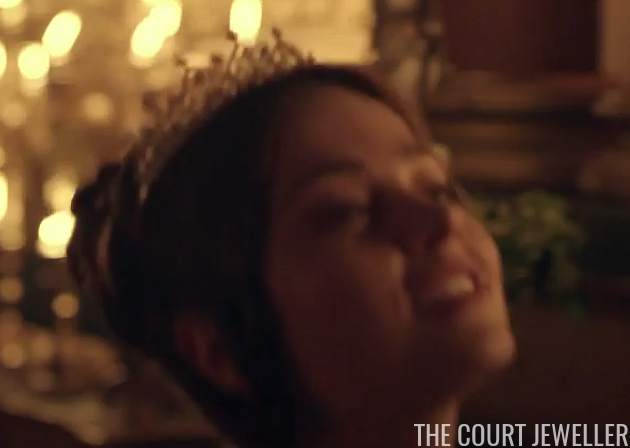 And here's the production's version of Victoria's Imperial State Crown. You can see the Black Prince's Ruby (actually a spinel) on the right side. Here's Victoria wearing the crown (as she does in the coronation portrait by Sir George Hayter). 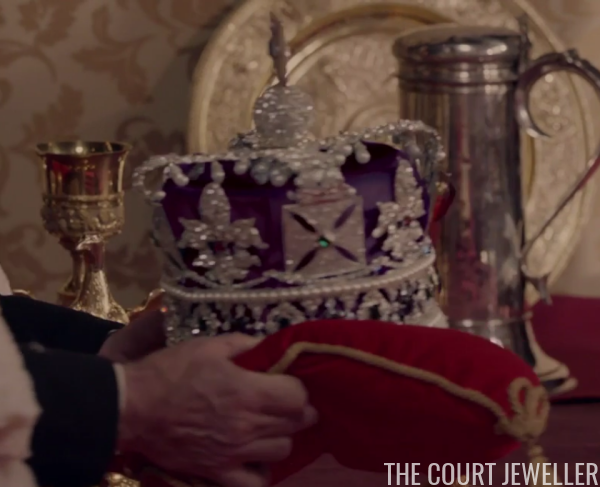 This version of the crown looks strange to our modern eyes, because today's version features the Cullinan II mounted below the Black Prince's Ruby, with the Stuart Sapphire on the opposite side. Note that the Hayter coronation portrait shows Victoria without a necklace.